Come the New Year, the number of first home buyers able to get a mortgage with less than a 20% deposit are expected to rise, following new Reserve Bank of New Zealand (RBNZ) rules. Current RBNZ restrictions mean financial institutions can only grant a maximum of 10% of their home loans to owner-occupiers – including first home buyers – who have less than a 20% deposit (greater than an 80% LVR). From 1 January 2018 onwards, this will increase to 15% of lenders’ loans allowed to be issued to house buyers with a deposit of less than 20%, RBNZ announced on 29 November. 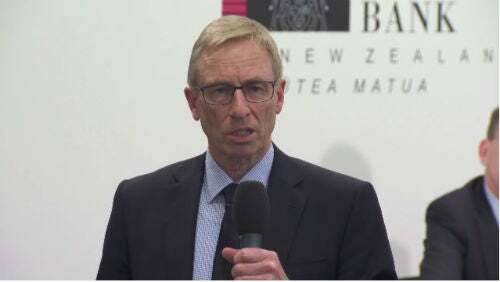 A greater proportion of first home buyers will benefit from these changes, but RBNZ is not expecting a surge in the number of loans issued to owner-occupiers, acting governor Grant Spencer said at a media conference. Banks also make lending decisions based on their own “buffers”, Mr Spencer says. Mr Spencer advises first home buyers to continue to be cautious about the market. Banks will have more ‘latitude with lending decisions” but don’t expect the easing of the LVR rules to have a significant change. RBNZ says it is the right time to make the adjustments to LVR requirements. House price increases have been easing in recent months and pending Government regulations around housing are expected to further “dampen” the market. Upcoming Government changes include a crackdown on foreign property investors and extending tax to owners who sell a home within five years of purchase – currently the law is two years. However, RBNZ has also relaxed LVR requirements for property investors. Currently, banks can give a maximum of 5% of their home loans to lenders with a 40% deposit (an LVR of 60%). From 1 January, lenders can issue 5% of their loans to investors with a 35% deposit (an LVR of 65%). Mr Spencer says RBNZ has not lowered the deposit requirement for owner-occupiers (it has only increased the volume of higher LVR loans banks are allowed to issue) because most banks would still consider a 80% LVR as “relatively high”. On the other hand, a 65% LVR for a property investor is at a “more normal threshold”, Mr Spencer says. The bank stresses that the changes are not in an attempt to bolster the housing market, but instead a follow-through with its commitment that the lending restrictions were temporary, to help deal with extreme risk and pressure in the housing market. RBNZ will continue to ease LVR regulations as part of “incremental changes” although it has not committed to a date of when they will be fully removed. “Removal [of LVR restrictions] is conditional on things remaining stable and risks remaining contained,” Mr Spencer says. RBNZ will quarterly review the LVR rules. The bank says these latest LVR changes will have a “negligible impact” on any forecast for changes to the Official Cash Rate.